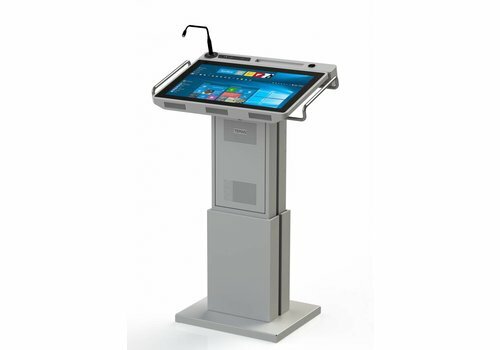 In this category you will find the smartest podiums systems with the latest technology, professional audiovisual devices integrated and innovative features. Our products combine quality, functionality and the best designs! 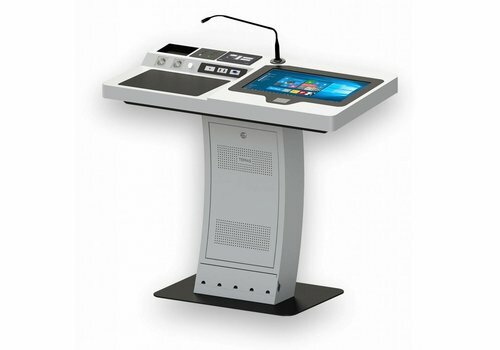 Smart solutions for conferences, presentations and advertising with the most modern design of multimedia lecterns, AV systems and the best digital lecterns with integrated technology. 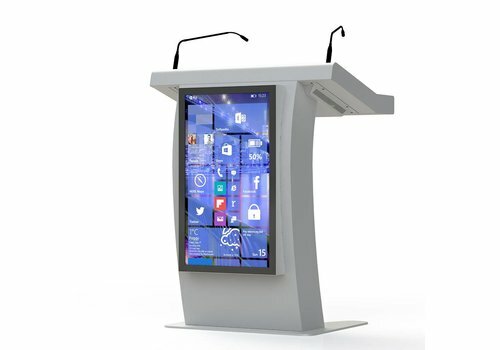 The smart podiums include accessories, interactive display in order to facilitate the course of the presentation. 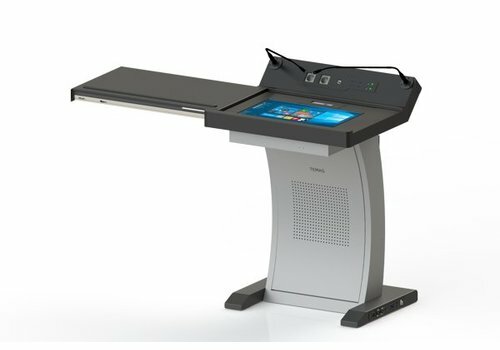 The touch control panels make it easier for the presenter to highlight a message, navigate through the computer, or access to storage internet systems. 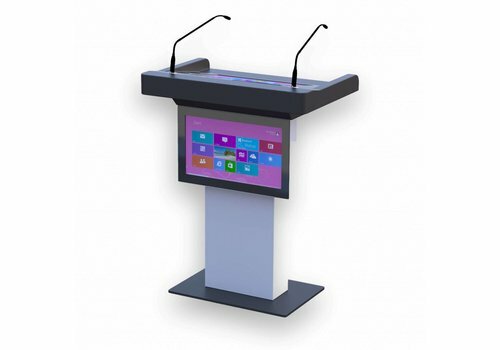 Our digital Podiums enhanced with variety of universal plug-n-play connectors, touch displays are very convenient to all types of conferences. All of our smart solutions are produced under the highest quality standards. Contact us and give us the opportunity to advice you the best digital solution!! Complex presentations that require multiple additional devices, communication and power ports, AV control panels, Cambridge covers all of them.